You Are Becoming Multi-Dimensional Level Beings!!! “Greetings, Beloved Family! Well, we have an interesting situation here on the ground at Ashtar On The Road, because the familiar format has disappeared! * Oh, it will be found and, in the meantime, it is for everyone to come up together to the Bridge of my ship without the ‘New Jerusalem’ music. ** So if you are familiar with it and have heard it before – just kind of hear it in your Hearts or in your heads, or wherever you would want to hear it resonate – and let’s just all come together in our Circle of Love, because I have some rather interesting observations for you! “First, I will tell you that no matter what is happening on the ground, or in your skies in the third dimension, more and more of you are not only seeing our ships but actually communicating with them. And we want to encourage this. We’re here for you!If you had not called – if you had not said with your raised consciousness that you were ready for us to come – we would still be in observation, but we would not be able to come through the series of levels of dimensionality, as it were, and be this close with you. “Now, I’m going to tell you something that is a bit scientific and, you know, the one sitting in the chair whose voice I am using is not particularly in tune with science. That has to do with her life, but it has nothingto do with me or with you, Beloved Family! But the science of the spiritual aspects of this is that you’re evolving! “Those who are totally asleep are not as able to see the ships, or they’re just not seeing them, and they are perhaps a bit in denial. But those of you who are awake, who are evolving consciously, that is with your whole permission, are going at lightning speed, because that’s the speed at which this is taking place on Planet Earth all over, and with many, many more individuals waking up at every moment – you are much more able to see the ships. Do you know why? It’s because you are becoming more and more multi-dimensional beings and even more multi-dimensional level beings!!! So you are more and more able to see or feel or hear – or perhaps all of these – when we’re overhead. Well, we’re overhead all the time, because there are so many ships! We’re just parked in many, many levels of dimensionality, including the ones that you are accessing. Go ahead! Try it out! “I will say that it is less foggy, if you want to put it that way, at night. In other words, the veils for you are becoming not there! And so if you go outside at night, you will know that we’re here, because you will see us, or feel us, or hear from us. Go ahead, say, ‘Hello!’ Give us a big wave because we’re right here with you. 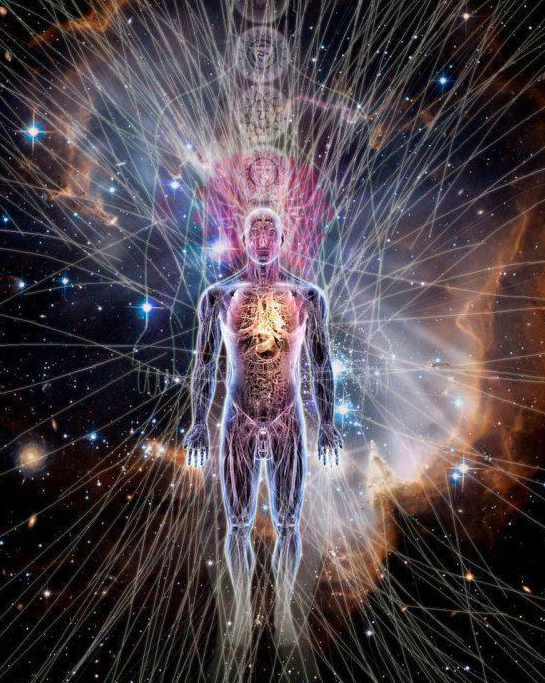 We are multi-dimensional, multi-level dimensional beings on our ships, and all of our technology is as well. So we are able more and more to make ourselves known to actually millions of people on Planet Earth!!! “Now, it may seem to you as though the Ascension process is taking place in baby steps. And we know, oh yes, we know, that there is a bit of impatience. When are we going to get announced? Well, I have an announcement for you –we have made great progress in that arena as well!!! And it will not be – I will not give dates, you know that. That’s my policy, that’s because the Galactic Federation and all of us are in agreement, well, almost all of us. “We have technologies that we are so anxious to bring to you, IF we can be said to be anxious. Let’s just say, we feel as though the moment – now remember, we don’t do ‘time’ in the Higher levels, so when I say ‘in the moment’ I’m not talking about this particular moment on your clock -what I’m saying is that the moment in the history/herstory of Planet Earth is here for us to come even closer, to be announced as a presence!!! And frankly, the way that Humanity is evolving, it seems as though it might be that moment for the Announcement of our PEACEFUL PRESENCE,and our assistance, because of the fact that there is so much resistance going on from the relative few who wear the dark hats – they’ve been in power for so long they just can’t let go! “And yet there is so much that we have for you in the way of technology – in the way of healing modalities, in the way of cleaning, clearing all that needs to be cleared – so that Planet Earth can just move completely (with, of course, some alternate locations or agendas for those who don’t want to move). We can greatly facilitate and speed up the processes for you!!! “You know, there is a healer on Maui and he said yesterday to this one, ‘You need to get yourselves cleaned up and cleared up, all of your bodies, because you’re not really in shape!’ And he was including himself. It wasn’t about ‘you,’ – somebody else. It was ‘we.’ I will clarify that because I don’t want to do him an injustice and leave him out of the picture! He’s not ascended yet, and he’s working on it, and he has some things to clear up and clean up, too, particularly to enhance his own health.He said, ‘We’ve got to be healthy and strong in all of our bodies, and let’s face it, for the (what you call the seniors amongst you), we’ve got to be rejuvenated a bit, too!’ That’s what he said, in order to fully ascend! It’s not a piece of cake, or whatever you might want to call it! It’s not easy! It’s challenging and we know that!!! “And the more who are aware of our presence – and as soon as we get that ‘official’ recognition – the more we can help you to accomplish your preparations. And like this one sitting in the chair always says, ‘Well, if I were healed, if I were feeling younger, if I had, you know, some energy, and so on and so on, – we don’t need to go into that – I could do more to help other people! But she does it already. That’s okay. That’s her problem, not mine! We chose her to do what she’s doing and she’s doing it to the best of her ability. And the point is that, EVERYONE IS – all of you who are awake and who are working upon your Ascensions! We simply want the momentto come closer. “So the first thing I’m going to say will greatly facilitate, because you really cannot separate the two. Oh, you can – they’re two separate announcements, NESARA and ‘Hello, we’re here for real and we’re here in Peace,’ and so on, but they are intertwined!NESARA brings Freedom and it brings an upliftment into Divine Governance, and all that that means! And, of course, the announcement of our presence here brings Divine technologies. “Science and Spirit are not to be separated! They are one and the same. And as we bring our technologies, you are going to feel this more and more, and you’re going to be able to use themmore and more! And even though it’s not necessarily going to happen in one blinding flash of Light, and all of a sudden everybody’s got angel wings, nevertheless – and by the way, forget that wing picture – that Heaven is where you’re headed, but it’s to take your bodies, so you’ve got to transform and transmute!!! “Now, we know the process is challenging at times, all these energies coming in. You’re feeling them, yes? And you may have what they are so fond of calling Ascension-itis symptoms coming up from time to time. What do you do? You take time out for yourselves. What a concept! You know, if you have aj-o-b job, just go to your boss, say ‘I’ve got to take a little time off here.I’ll see you tomorrow,’ or whatever. And if not that, just sit at your desk and pretend like you’re alert and awake but GO INSIDE and connect with your Higher Dimensional Selves and your Guides and come into balance!!! “If you can, go outside. Take off your shoes unless you’ve got rubber soles on them, which very few do – or leather soles, I meant to say – and connect. Some of this technology is somewhat primitive. The best connectors are your bare feet and try to find a patch of grass and even if you just stay there for five minutes, you’ll help yourselves past whatever dizziness or headaches, or whatever you’re feeling in the moment. Now that’s a practical tip, if you want to call that, from me to you, and it does help tremendously! Drink good, pure water and those kinds of things.You all know about that anyway. “Form a team with your Guides. State your intentional requirements, ‘I choose to evolve, I choose to welcome the LoveLight in exactly the most harmonious and beneficial and optimal ways for me!’ Because even though we’re all in this together – and I say ‘we,’ we’re all in this together, Beloved Ones – but you’re all individuals, too. So do what you can do for yourselves and that will empower you that much more to help the World, because the World can use your help and you know that!!! “And we hope that you shall join us – I shall say, we SEE a grand number of you joining us this coming day of our togetherness, our ‘live’ togetherness for the empowerment of NESARA even further! **** You know, some people just can’t believe it. ‘It’s too good to be true, it’s some kind of little fairy tale or something that somebody made up and they’re spreading it on the internet.’ IT’S TRUTH!!! And if you have any doubts or questions about it, get with your Higher Dimensional selves and your guidance team and check it out.It’s for real! “It’s one of the very few things that have actually been created in the 3D world. Of course, it comes from a Higher level, but it is there in 3D in writing, so to speak. It is law that has been passed. It has only been held up because the ones in power have been resisting. And it will be announced!!! And by the way, it doesn’t make any difference who is sitting in the President of the United States’s chair or any other government head or government official or agency. It does not matter! When the moment is at hand, it will be announced. And we have Announcers! You are aware of the fact that beloved Dennis Kucinich and his wife are still very much passionate and working for World Peace. So is President Obama. So are many who are in positions of responsibility! “See, there’s a difference. When you’re a president, if you are feeling your responsibilities to the people, and you want to do everything you can to help the people – even though you might get squished a lot – that’s one thing. If you are a president who is wanting to just be the center of attention and do whatever you feel like you want to do for your own ego’s sake or whatever, that’s a bit of a different story, is it not? “Well, don’t get me started. I’m not here to talk about that. I am not in judgment. I am going to tell you once more that everything is moving beautifully along, and that Mr. Trump is a player on the stage who is helping things to move, because he is bringing things up that people are starting to want to think about and express themselves about! “So express away and let’s get together on Sunday – this Sunday. **** Yes! Be not in confusion about your daylight savings time or whatever, just let’s do it.Get the information and let’s get together and let’s help the World to come that much closer to that Announcement!! !